Next semester will likely be an interesting one for Audrey Pence. Not only will the rising Northeastern University senior need to concentrate on her future plans once she graduates — she will also be thrust into the spotlight as the daughter of the man who might be the next vice president of the United States. 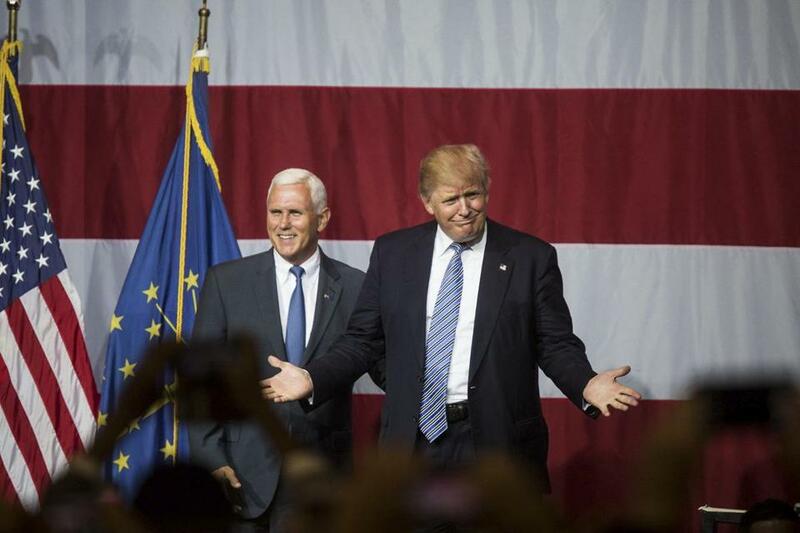 Pence’s father, Indiana Governor Mike Pence, was tapped Friday as presumptive Republican nominee Donald Trump’s running mate, in an announcement made on Twitter. “Honored to join [Donald Trump] and work to make America great again,” Governor Pence said on the social media platform after Trump’s initial announcement. Pence would not immediately grant an interview to the Globe, but confirmed she’s enrolled at Northeastern’s College of Social Sciences and Humanities. She is a member of the graduating class of 2017, she said in an e-mail. 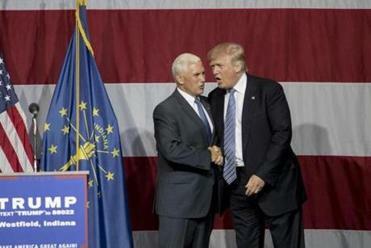 Donald Trump ended days of speculation, tweeting he has chosen Indiana Governor Mike Pence as his running mate. In 2015, Northeastern highlighted Pence in an article posted on the school’s website. The story, titled, “An American journalist in Turkey,” detailed the student’s interest in “learning about the world” through a reporter’s lens. The international affairs major was a coop at the Fuller Project for International Reporting, a non-profit news organization, at the time, the article states. While overseas, she covered stories ranging from a “bride kidnapping to the 100th anniversary of the Armenian Genocide,” the latter story being published on CNN’s website. “That was one I got a shared byline on, which was really exciting,” Pence said of the experience. According to Pence’s LinkedIn profile, she was an external relations intern at the Center for Strategic and International Studies, in Washington, D.C., for two months, after she returned home from her co-op in Turkey. Pence also explored “humanitarian access in Syria” as a research assistant at Northeastern in 2014. In that role, she “scheduled and organized all events for Northeastern University’s Middle East Center,” according to her profile. She also once spent a month abroad in Amman, Jordan, studying Arabic, and a summer semester in Serbia and Bosnia and Herzegovina, concentrating on international conflict and negotiation, her profile says. While Pence once described herself as “politically independent, socially liberal” in an interview with Indianapolis television news station WTHR, she seems to have always been supportive of her father’s political ambitions. “He tells me so many times, ‘I am proud of you for having your own opinions and looking into things’,” Pence told the station. Globe correspondent Dylan McGuinness contributed to this report. Steve Annear can be reached at steve.annear@globe.com. Follow him on Twitter @steveannear.